The Arts Center at La Maya is dedicated to the spirit of creativity in all its forms: exploration, imagination, pushing boundaries, growth in personal, emotional, and experiential disciplines. Be Inspired In Our World-Class Workshops! BRING: Comfortable workout clothes, a yoga mat if you have one. Yoga mats available for $15 if you need one. – This will be the best $40 you ever invested in your Life & Health & Happiness! – You will learn the CORRECT techniques to seamlessly integrate this routine into your daily life. You’ll gain shortcuts to improve your posture, strength, flexibility, physical stamina. – Life Is meant to be Enjoyed! — Not Endured! — And Life Is Short! Sign Up? Contact Michael at mic1951co@gmail.com or call or WhatsApp him at 6623 4860 to RSVP. To Pay? Pay with PayPal using Michael’s email address, noting your name(s). You will receive a confirmation and emailed receipt. Payment IN ADVANCE required to hold your reservation. We are all educators, of something! 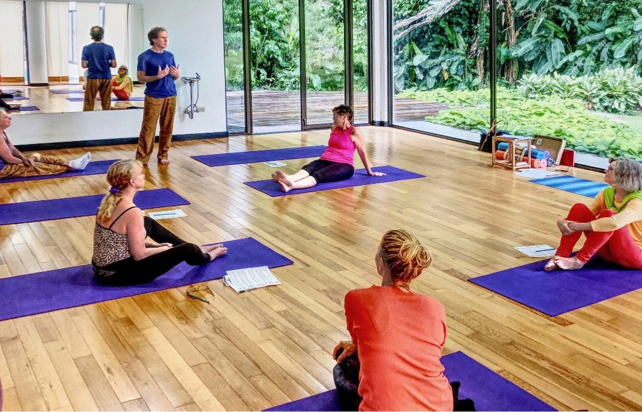 We invite teachers, practitioners, and professionals to host their sessions and workshops: for painters, writers, photographers, dance, yoga, massage, and any alternative health and lifestyle topics. On a first-come, first-served basis, we will do our best to accommodate preferred session dates. Please send us a short and concise course/session description, dates preferred, and a resume or biography for the organizer(s). In some cases, La Maya can help promote sessions. Please contact us directly here to submit a course proposal. If you haven’t already heard about this miraculous plant, meet the Moringa! Moringa, a ‘superfood’ and the most nutritious plant known to man, contains 90 nutrients, including 36 anti-inflammatories and 46 anti-oxidants. Moringa leaves, flowers, fruits and stems can all be consumed. Moringa can grow in arid soils. The ‘Miracle Tree’ can grow one foot in a single month, and reach more than 20 feet high in the first year. The health benefits of Moringa are truly amazing. Click here to find out what Moringa can do for you. Finca la Maya is a government-certified reforestation farm. We are cultivating totally organic, irrigated, healthy orchards of hundreds of Moringa Olifeira trees. With our sincere thanks and appreciation for your generosity.